While there are many ongoing qualifications that our business must adhere to in order to maintain our status as a NAPA AutoCare Center, we believe that our integrity is the most important reason why our customers continue to allow us to take care of their vehicles. 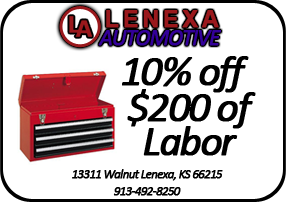 When you come to Lenexa Automotive, you get Personalized Service and are able to discuss your vehicle's problems with a qualified technician who will perform the repair work. 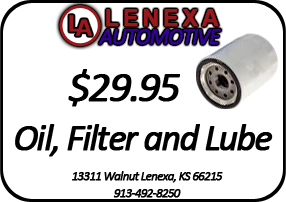 You will also find the Latest Equipment, and Technical Information at our Complete Automotive Repair Facility.